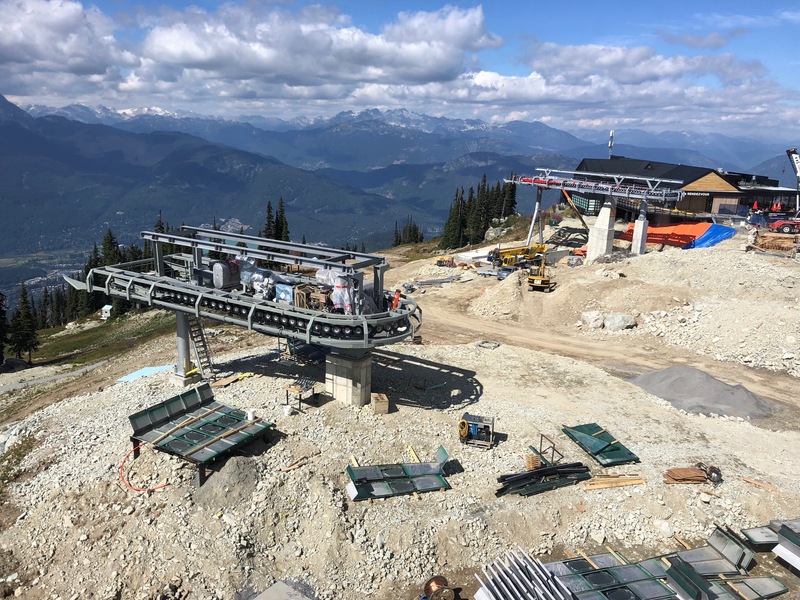 Vail Resorts undertook a historic $52 million lift investment on Whistler and Blackcomb Mountains, adding a two stage gondola, six pack and high speed quad for 2018-19. 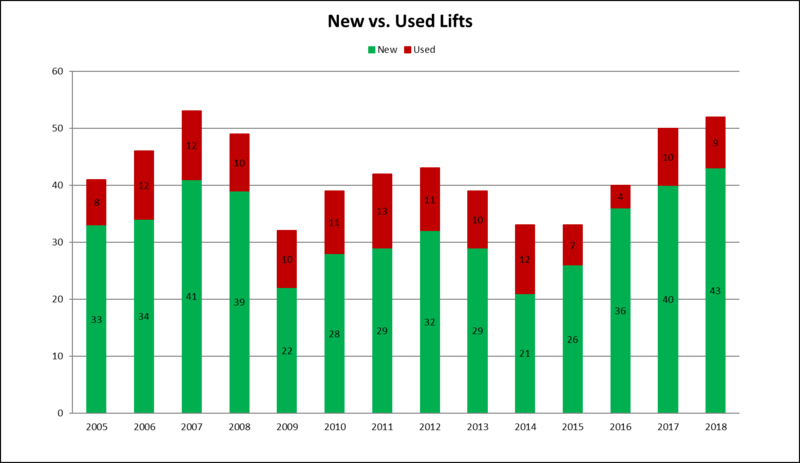 With 52 new ropeways servicing ski slopes, fairgrounds and theme parks, 2018 marks the fifth straight year of lift construction growth that began in 2014. All manufacturers did well this year and numbers were particularly strong in the Eastern United States and Canada. 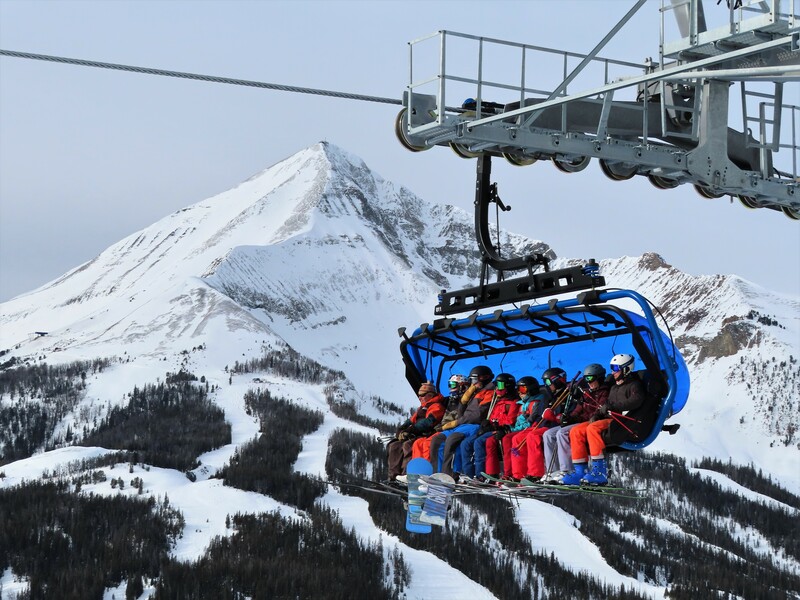 With North America’s first eight passenger chairlift, pioneering double loading gondolas, the first direct drives from two manufacturers and the first D-Line detachables, 2018 will be remembered as a pivotal year for North American lift building. 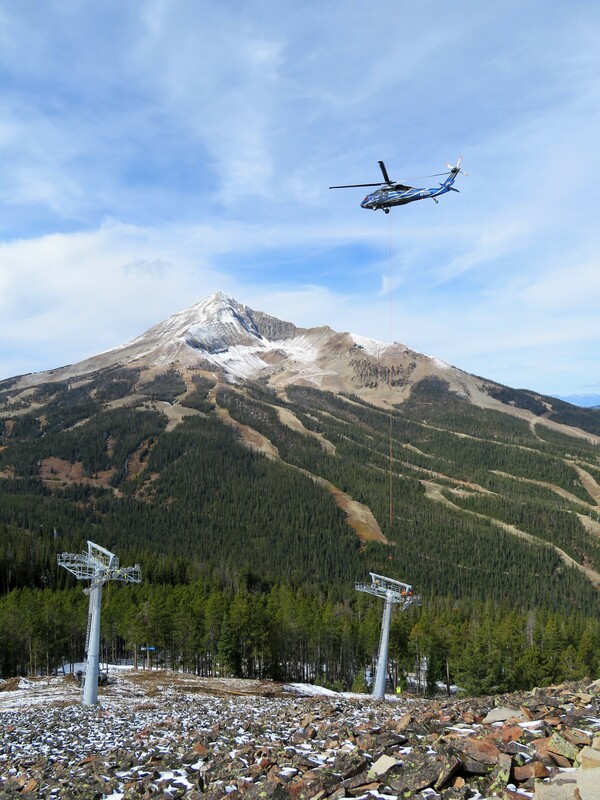 A UH-60 “Black Hawk” from Timberline Helicopters delivers lift towers at Big Sky Resort in October. 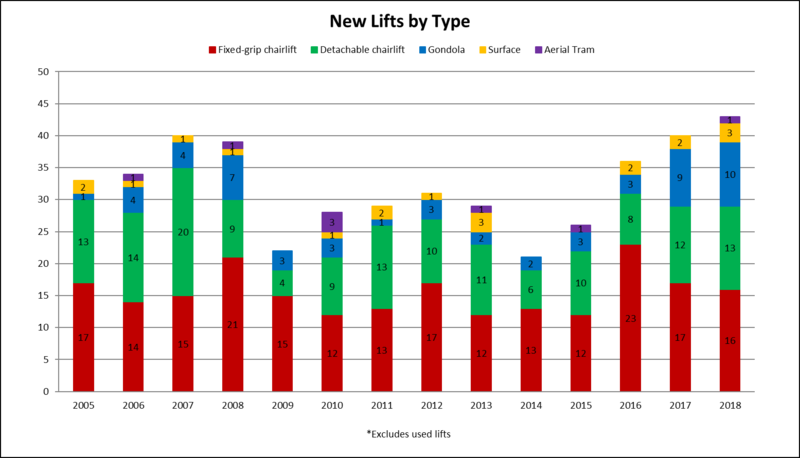 Forty three lifts were brand new this year while nine were relocated. 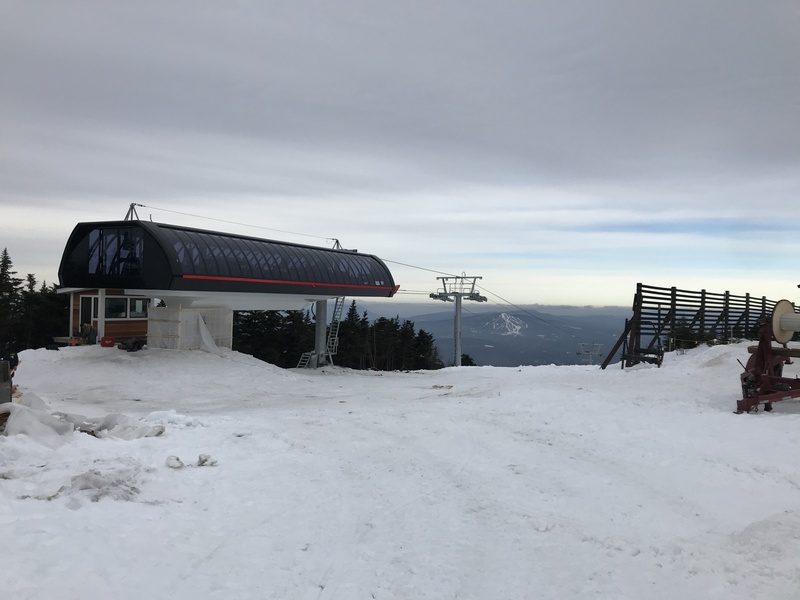 Killington moved two lifts to new spots on the mountain, Doppelmayr relocated high speed quads at Whistler Blackcomb and Big Sky while Skytrac reinstalled Poma fixed grips at Catamount, New York and Spider Mountain, Texas. 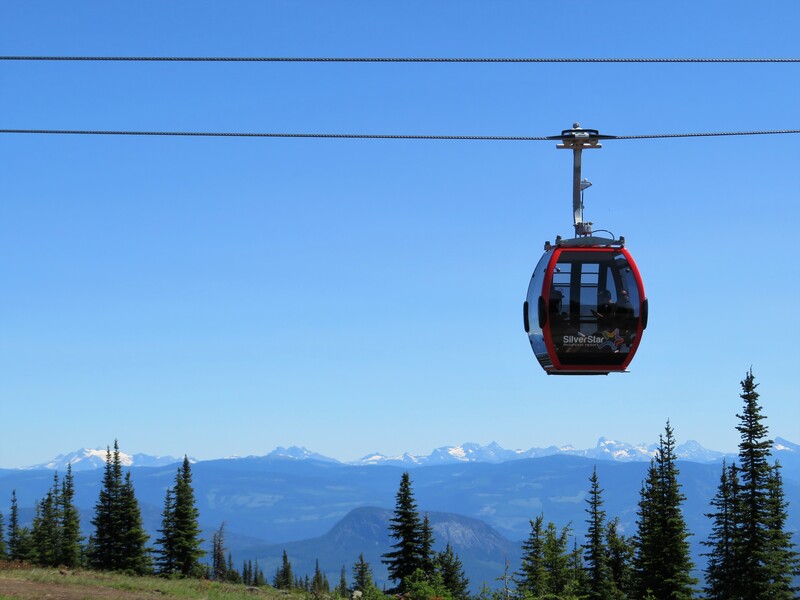 I was lucky to attend the SilverStar gondola launch on a perfect day in July. 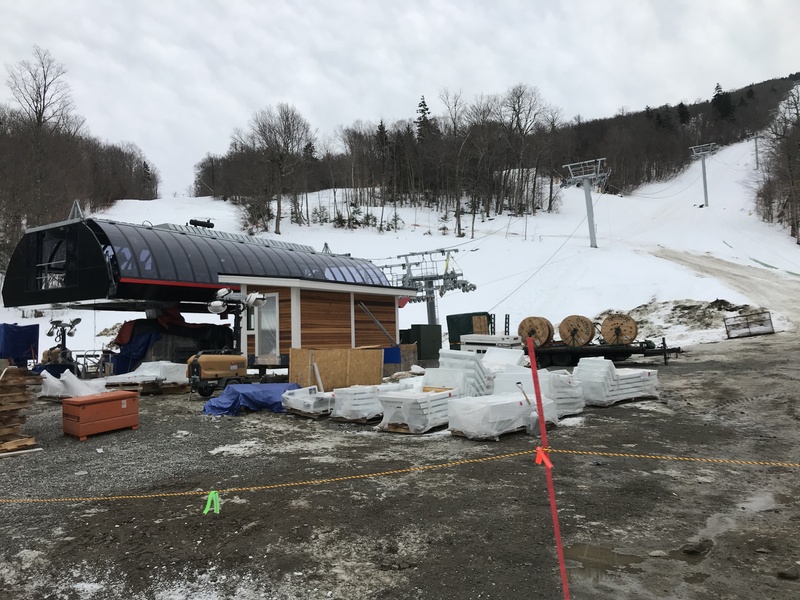 Months ago I nicknamed 2018 the year of the gondola with a record ten new installations including combination chair/gondola lifts at Bromont, Quebec and Copper, Colorado. New gondolas sprouted coast to coast in both the United States and Canada in a year that won’t soon be repeated. 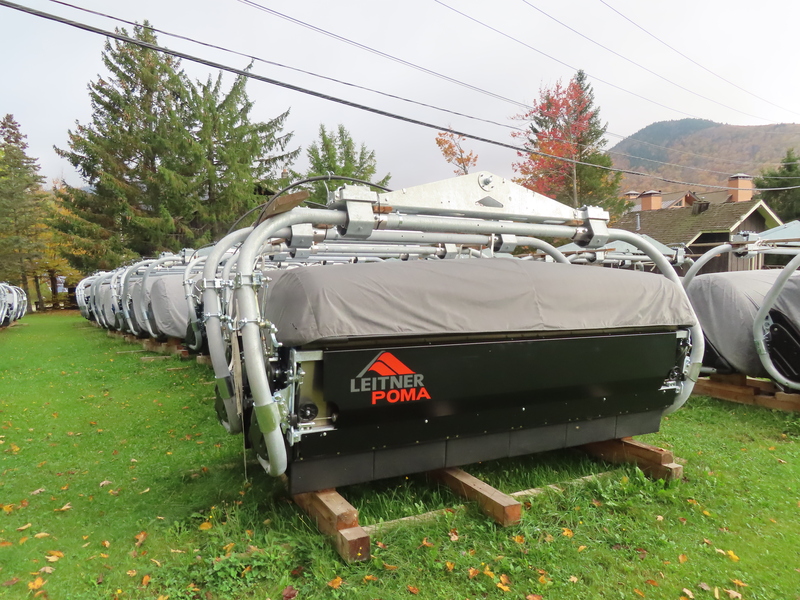 Leitner-Poma bubble chairs destined for Killington stored safely at Pico back in October. 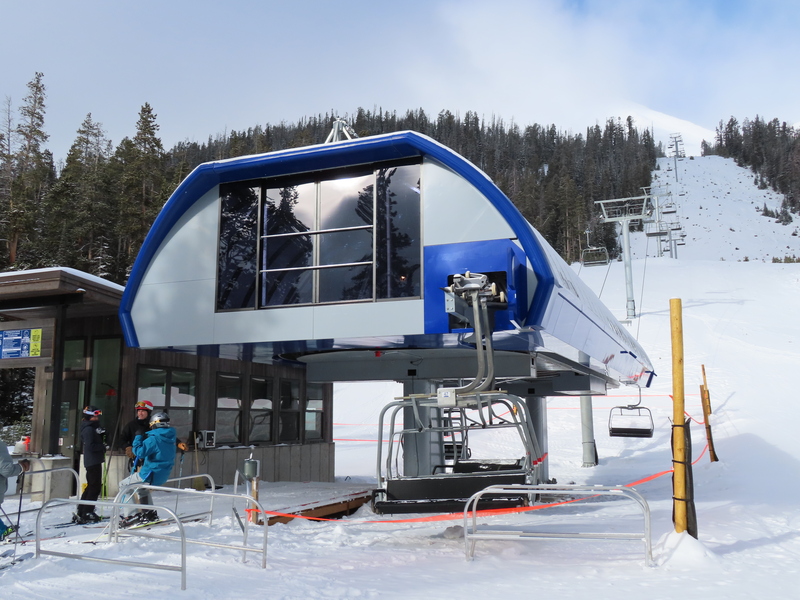 Bubble chairlift construction also surged with big installations this winter at Big Sky, Copper Mountain and Killington. 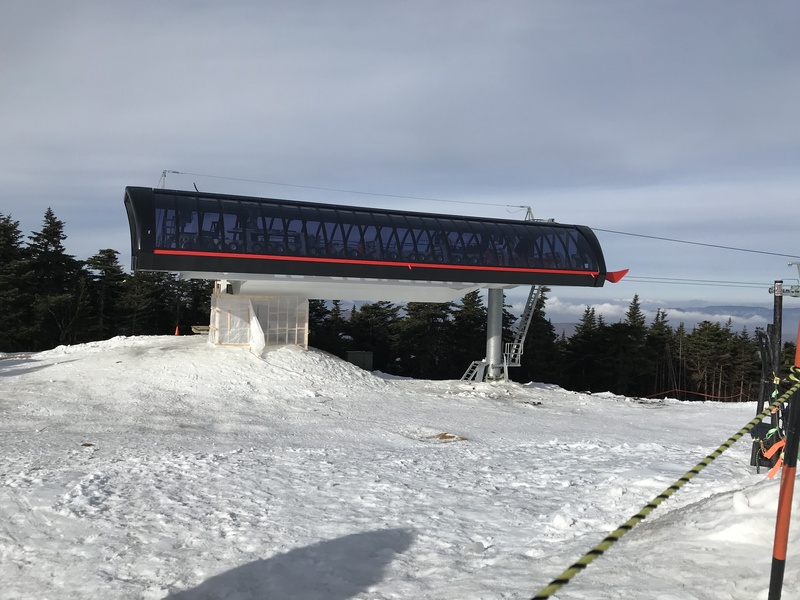 The new American Flyer is the longest bubble lift in the world with 182 six place chairs set to carry skiers and snowboarders very soon. 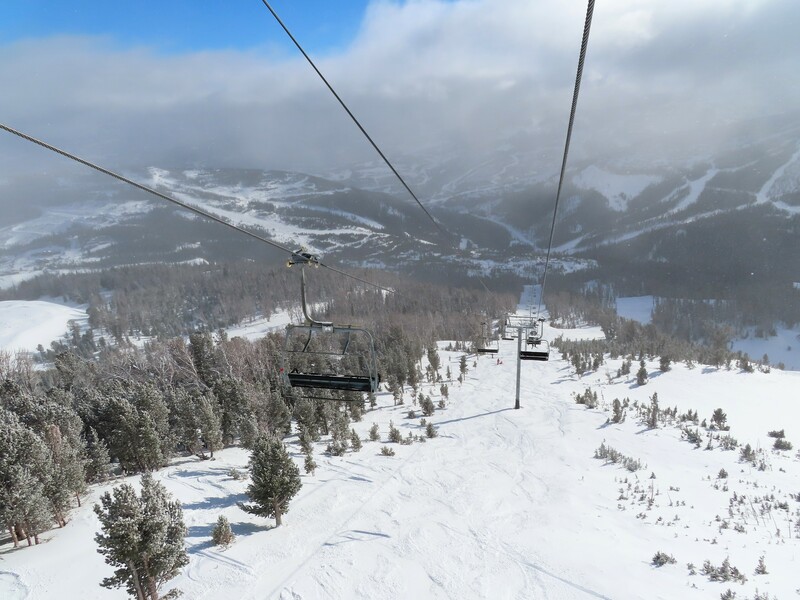 Copper, Winter Park and Big Sky’s new lifts are the first in North America with direct drives that cut gearboxes out of the equation for increased reliability. 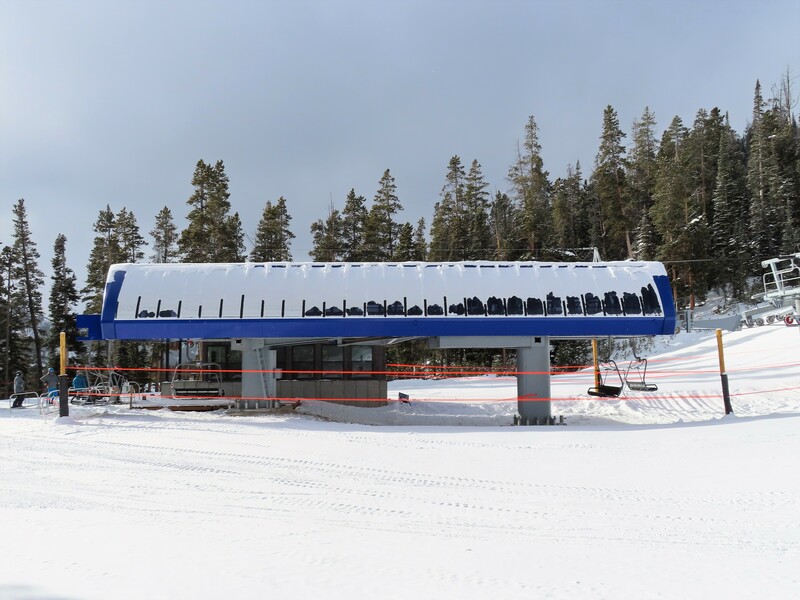 The Poma-built Stratton Mountain Gondola opened in 1988 and received 58 new Sigma Diamond cabins in 2014. I’m thankful the water line broke near the gondola and not under an open chairlift. Great job Stratton crews moving cabins out of harm’s way and getting the water stopped so quickly. 2” of fresh snow overnight and Outback is officially open for the season! 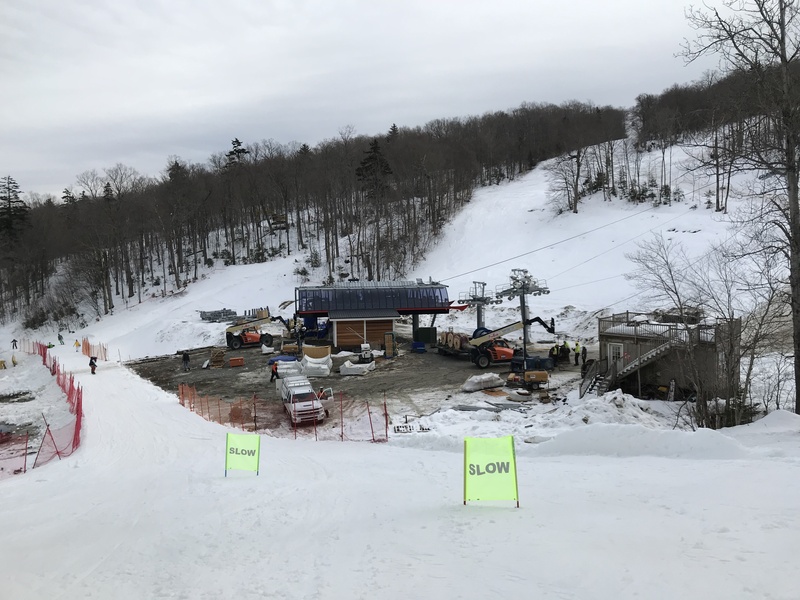 We understand everyone, including us, has been anxiously awaiting The Gondola opening and we apologize for not being more transparent about its status. This project has been a complex undertaking and the last thing we wanted to do was provide our guests with inaccurate information. However, we understand that without us supplying the most accurate information we do have, misinformation is out there. Going forward we are committed to providing you with daily updates on The Gondola by 2pm MT. Our acceptance testing began yesterday. This process requires going through all of the safety and operating systems of the lift. Yesterday, we went through our electrical and tower safety circuits. Today we are working through terminal testing. We anticipate doing the dynamic load testing tomorrow. 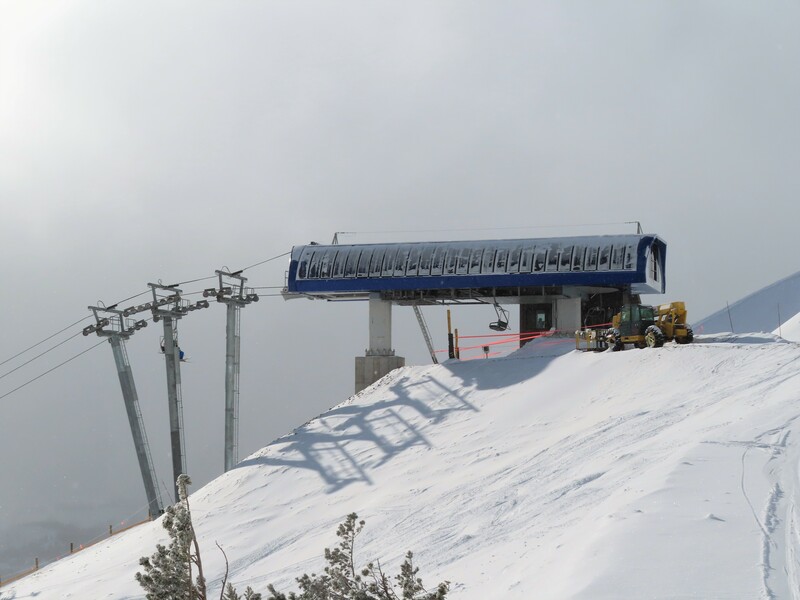 This is a brand new lift system for the U.S. and we are one of only three in the country, which is why our testing process is taking a little longer. We are optimistic about opening on Tuesday, just in time for Christmas, but we do have to complete these extensive tests first. Thank you for your patience as we complete this process and we will update you tomorrow on our progress. We look forward to riding The Gondola with you soon! Silverton, Colorado – population 650 – is home to two ski areas with a grand total of two double chairlifts. The smaller of the two at just 16 acres, owned and operated by the town, is Kendall Mountain. Silverton recently commissioned SE Group to study possibilities for additional ski terrain and year round recreation. The viability assessment, released last month, is very intriguing. 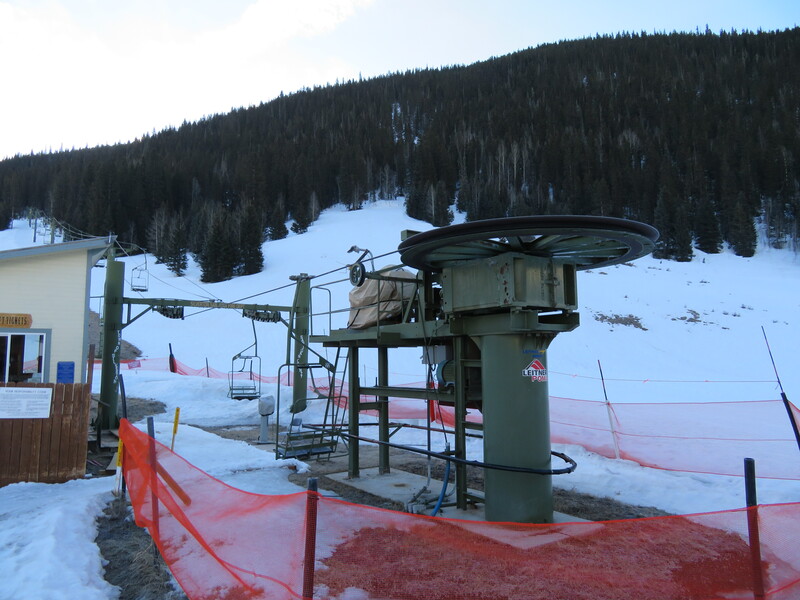 Kendall Mountain Recreation Area’s current lift, installed in 2006, is a 1972 Poma double with a 1990 return terminal. The lift has a design capacity of 800 people per hour (pph), but currently operates at 760 pph. It rises only 263 vertical feet on a mountain that stretches some 3,500 feet above the top terminal. The setup reminds me of Whitetooth before Kicking Horse or Powder Springs pre-Revelstoke Mountain Resort. Both were modest community ski areas at the bases of large mountains transformed into destinations by private developers. 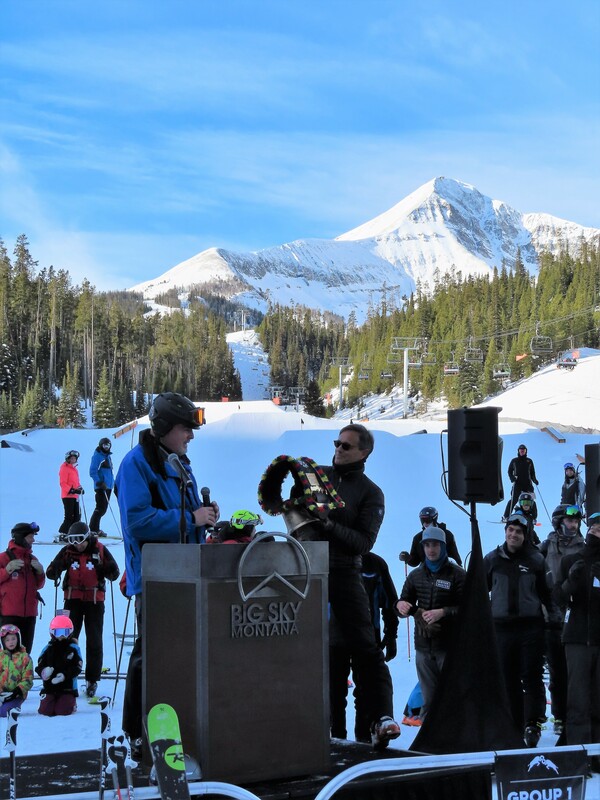 Silverton isn’t currently considering anything on the scale of the new British Columbia resorts but the project could eventually yield Colorado’s third largest vertical drop in a place known for epic snowfall. As part of its public outreach, the town held multiple community meetings to gain feedback over the past year. Top priorities residents came up with at a first brainstorming session were expanded lifts and terrain. SE Group identified excellent ski terrain on the central part of the mountain with a large quantity of terrain suitable for ability levels from novice up to advanced. Importantly, the mountain’s high elevation would provide desirable snow conditions without the need for snowmaking. SE Group also notes there is potential for Silverton to rise in popularity as a ski destination, benefiting both Silverton Mountain and Kendall Mountain as well as nearby Purgatory Resort. 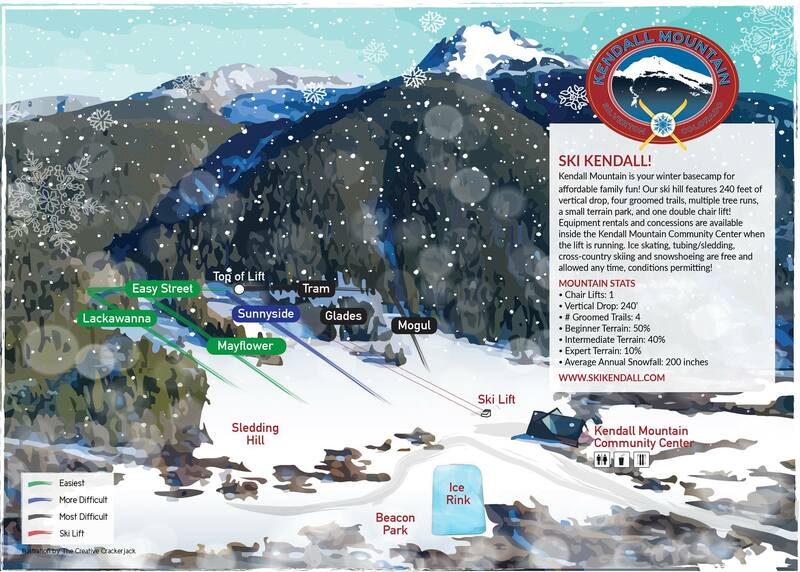 The study concludes that “expanded skiing infrastructure on Kendall Mountain would benefit the existing Silverton Mountain Ski Area by providing a complimentary experience that would draw additional visitors to the area during the winter season.” Silverton currently offers guided lift and helicopter skiing for experts only. Just five years after it was set to close and liquidate, the remote but beautiful Manning Park Resort has some exciting news to share. 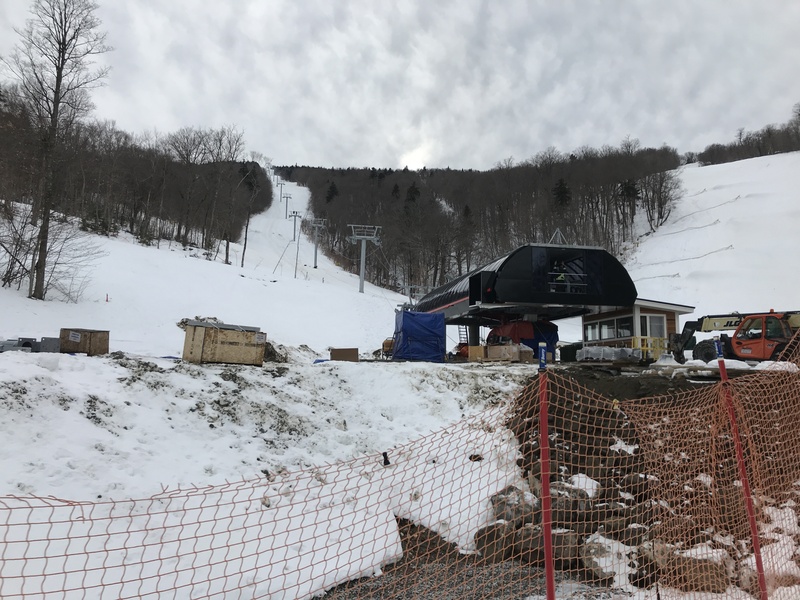 The ski area will retire one of its two Murray-Latta chairlifts at the end of the winter, replacing the Orange chair with a brand new Doppelmayr quad. 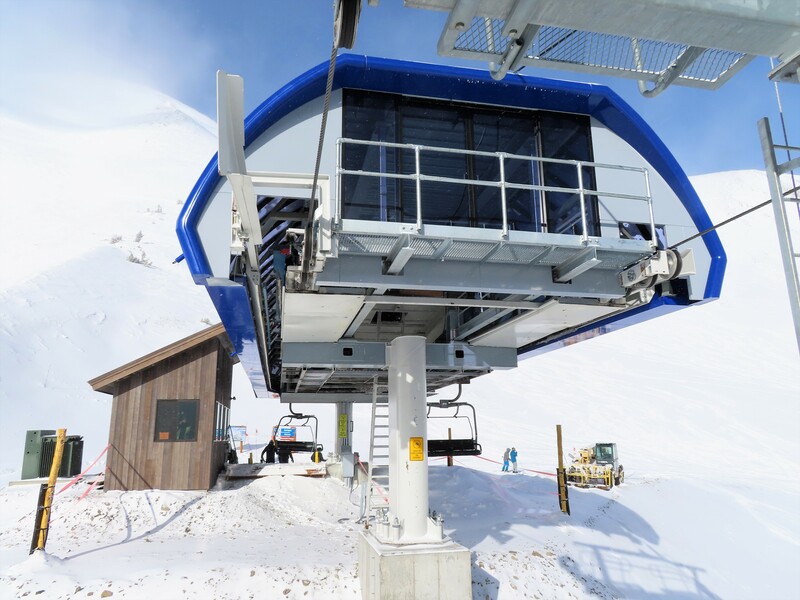 The modern Alpen Star installation will transport 1,400 skiers per hour just under 1,100 vertical feet. More chairs can be added in the future to further increase capacity. 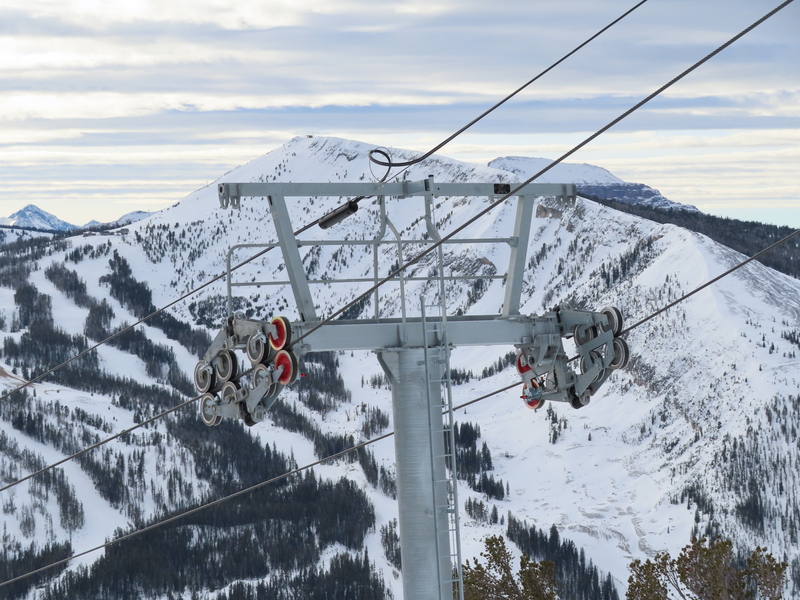 Following the upgrade, there will only be four Murray-Latta lifts operational – three in British Columbia and one in Alberta. 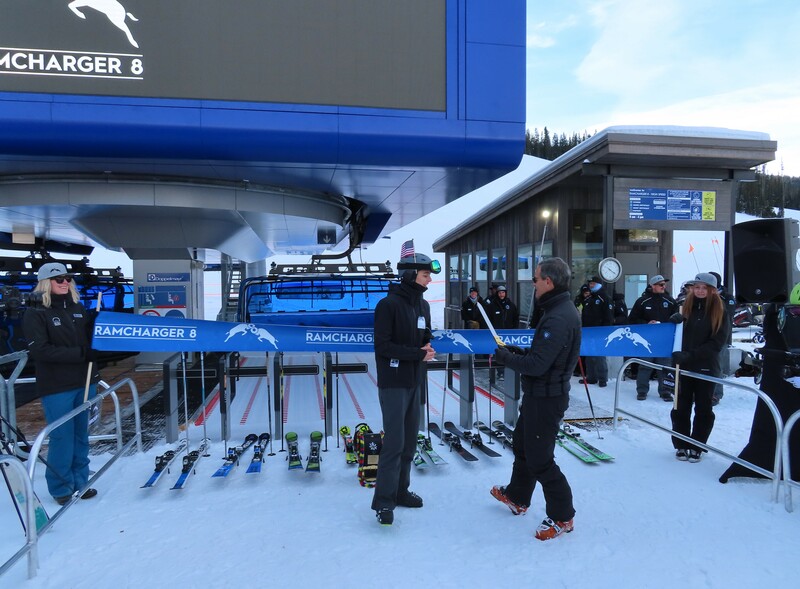 The now hundred year old machine company remains in business, just not the ski lift business. 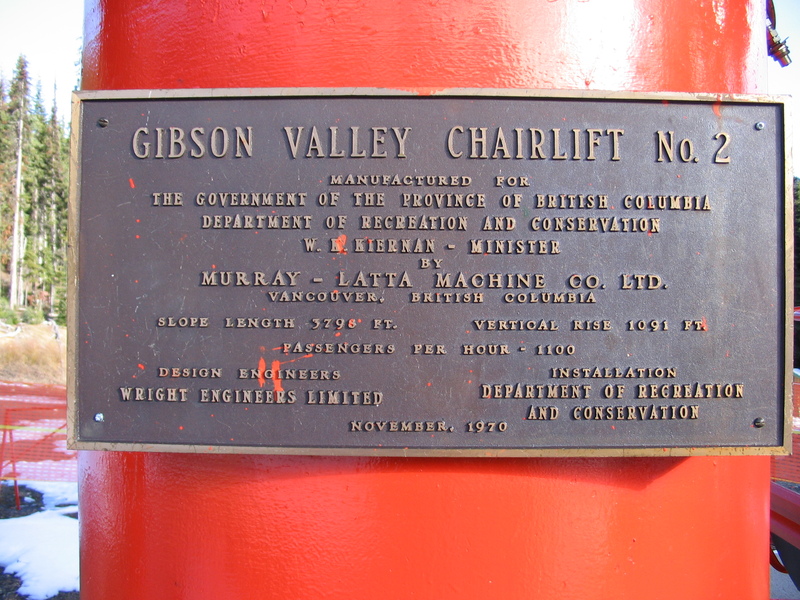 It built more than 20 chairlifts through the 1960s and ’70s in Western Canada and the United States. 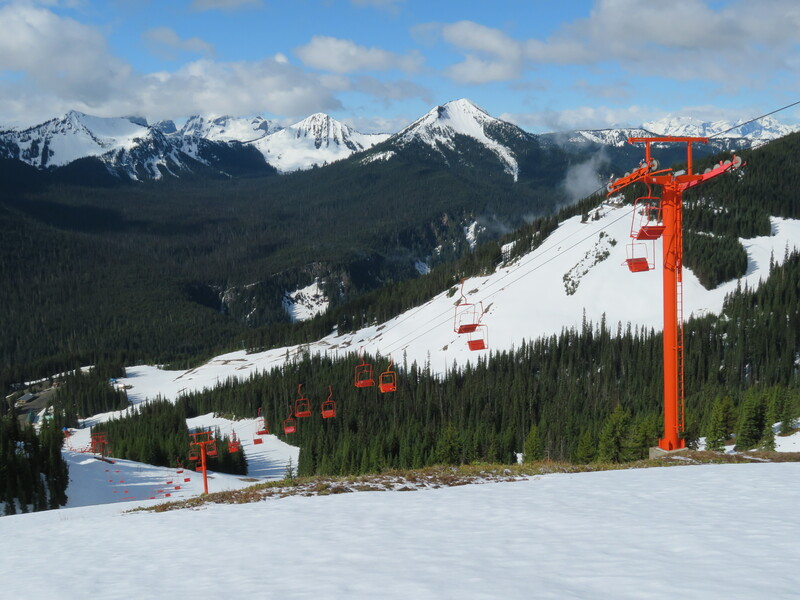 Manning Park’s new chair will open in time for the 2019-20 season and become the resort’s first new lift in 49 years.